Portrait of Ambrogio Spinola by Michiel van Mierevelt. Ambrogio Spinola Doria, 1st Marquess of The Balbases, GE, KOGF, KOS (Genoa, 1569 – Castelnuovo Scrivia, 25 September 1630) was an Italian condottiero and nobleman of the Republic of Genoa, who served for the Spanish crown and won a number of important battles. He is often called "Ambrosio" by Spanish speaking people and is considered one of the greatest military commanders of his time and in the history of the Spanish army. His military achievements earned him the title of Marquess of Balbases in the Spanish peerage, as well as the Order of the Golden Fleece and Order of Santiago. Ambrogio Spinola was born in Genoa, the eldest son of Filippo Spinola, Marquis of Sexten and Venafro, and his wife Polissena Grimaldi, daughter of Nicolò prince of Salerno. The family of Spinola was of great antiquity, wealth and power in Genoa. Don Ambrogio's sister Donna Lelia was married to Don Giulio Cesare Squarciafico, 2nd Marquess of Galatone, from whom descend the Princes of Belmonte. 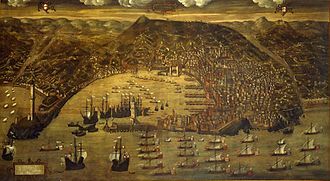 In the 16th century the Italian Republic of Genoa was in practical terms a protected state of the Spanish Empire; the Genoese were the bankers of the Spanish monarchy and had control of its finances. 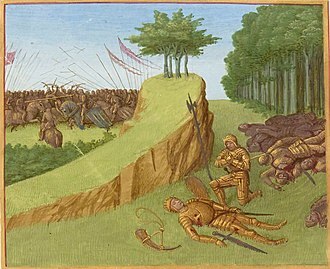 Several of the younger brothers of Ambrogio Spinola sought their fortune in Spain, and one of them, Federico, distinguished himself greatly as a soldier in the Army of Flanders. As eldest brother, Ambrogio remained at home to marry and continue the family. In 1592 he was married to Giovanna Bacciadonne, daughter of the count of Galerata. Filippo (Genoa, Italy, 1594 – Madrid, Spain, 8 August 1659), 2nd Marquess of Balbases and his successor. Polissena (died 1639), married Diego Felipe de Guzmán, 1st Marquess of Leganés, Governor of Flanders. Agustin, (Genoa, 1597 – Sevilla, 12 February 1649), Bishop of Tortosa 1625, Archbishop of Granada 1627, Archbishop of Santiago de Compostela 1630, Archbishop of Sevilla 1645. The houses of Spinola and Doria were rivals for authority within the republic. Ambrogio Spinola continued the rivalry with the count of Tursi, then the chief of the Dorias. He was not successful, and having lost a lawsuit into which he had entered to enforce a right of pre-emption of a palace belonging to the Salerno family which the Doria wished to purchase, he decided to withdraw from the city and advance the fortunes of his house by serving the Spanish monarchy in Flanders. In 1602 he and his brother Federico entered into a contract with the Spanish government—a condotta on the old Italian model. It was a speculation on which Spinola risked the whole of the great fortune of his house. Ambrogio Spinola undertook to raise 9.000 Lombard mercenaries for land service, and Federico to form a squadron of galley ships for service on the coast. 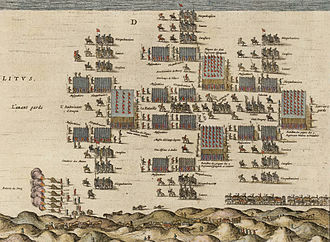 Several of Federico's galleys were destroyed by English and Dutch war-ships; first at Sesimbra in June and then in October in the English Channel. He himself was slain in an action with the Dutch on 24 May 1603. Ambrogio Spinola marched overland to Flanders in 1602 with the men he had raised at his own expense. 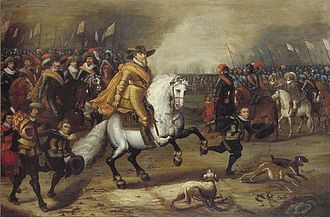 During the first months of his stay in Flanders the Spanish government played with schemes for employing him on an invasion of England, which came to nothing. At the close of the year he returned to Italy for more men. His experience as a soldier did not begin until, as General, and at the age of thirty-four, he undertook to continue the Siege of Ostend on 29 September 1603. Despite failing to relieve Sluis under siege at the same time, the ruins of Ostend fell into his hands on 22 September 1604. For this victory, he was appointed a Knight of the Order of the Golden Fleece in 1605. The governor of Flanders Archduke Albert and the Infanta Clara Eugenia, daughter of Philip II, who had set their hearts on taking Ostend, were delighted at Spinola's success, and it won him a high reputation among the soldiers of the time. At the close of the campaign he went to Spain to meet with the court, then in Valladolid, and make arrangements for the continuation of the war. At Valladolid he insisted on being appointed commander-in-chief in Flanders. By April he was back in Brussels to lead his first campaign. 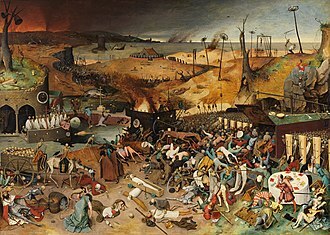 At this period, the wars of the Low Countries consisted almost entirely of sieges, and Spinola made himself famous by the number of places he took in spite of the efforts of Maurice of Nassau to defend them, including the heavily fortified Groenlo. In 1606 he again went to Spain. He was received with much outward honour, and entrusted with a very secret mission to secure the government of Flanders in case of the death of the Archduke or his wife. However he could not obtain the grandeeship which he desired, and was compelled to pledge his entire fortune as security for the expenses of the war before the bankers would advance funds to the Spanish government. He was never repaid, resulting in his complete financial ruin. The Spanish government now had a reason to keep him away from Spain. 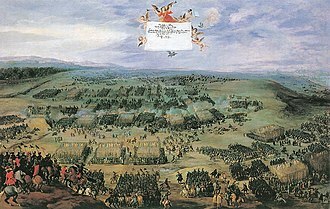 Until the signing of the Twelve Years' Truce in 1609, he continued to command in the field with general success. After it was signed he retained his post, and had among other duties to conduct the negotiations with France when Henry II de Bourbon, Prince de Condé fled to Flanders with his wife, Charlotte-Marguerite de Montmorency, in order to put her beyond the reach of the admiration of the aging Henry IV of France. 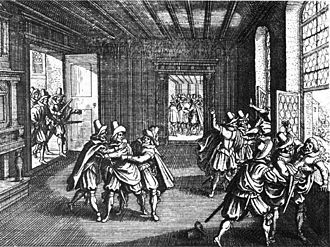 By 1611 Spinola's financial ruin was complete, but he was given the aristocratic title, a Grandeza, which he had sought. In 1614 he was involved with operations connected with the settlement of Cleves and Jülich. From 1620 to 1622, in the Thirty Years' War, he led the Palatinate campaign in the Lower Palatinate, which included the capture of many towns and villages, including Drais, and was rewarded with the rank of Captain-General. After the renewal of the war in the Low Countries in 1621 he had the most renowned victory of his career, the capture of Breda. 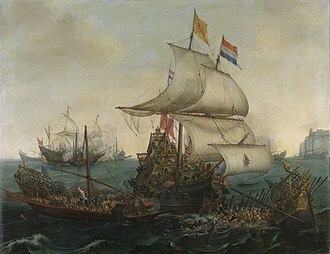 Success came after a long siege (28 August 1624 – 5 June 1625), in spite of the objections of Philip IV of Spain, who thought the siege was too risky and expensive, and the strenuous efforts of Maurice of Nassau, Prince of Orange to save it. The surrender of Breda is the subject of a famous painting by Velázquez, known as Las Lanzas. 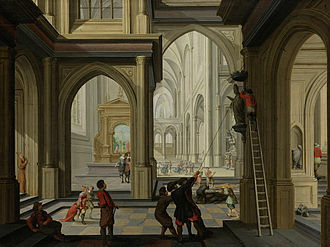 The conquests of Spinola (Crispijn van der Passe). The Surrender of Jülich, painted in 1635 by Jusepe Leonardo, Museum of Prado. The Surrender of Breda by Velázquez, painted by order of King Philip IV of Spain, 1635, five years after the loyal Ambrosio Spínola died as Governor of Milan. 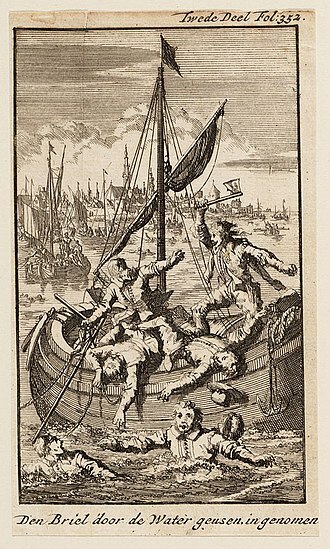 Spinola magnanimously raises the surrendering governor of Breda. Museum of Prado, Madrid, Spain. The taking of Breda was the culmination of Spinola's career. Utter want of money paralysed the Spanish government, and the new favourite, Olivares, was jealous of the general. 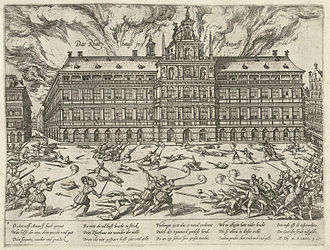 Spinola could not prevent Frederick Henry of Nassau from taking Groll (or Groenlo) in 1627, a good set-off for Breda. In January 1628 he left for Spain, resolved not to resume the command in Flanders unless security was given him for the support of his army. At Madrid he had to endure much insolence from Olivares, who endeavoured to make him responsible for the loss of Groll. Spinola was resolute not to return to Flanders. Meanwhile, the Spanish government added a war over the succession to the Duchy of Mantua to its heavy burdens. Spinola was appointed as plenipotentiary and general. He landed at Genoa on 19 September 1629. With him, at the suggestion of painter Peter Paul Rubens, came the Spanish royal painter Diego Velázquez, who went with him to see famous paintings in Genoa, Milan, Venice and Rome. In Italy he was pursued by the enmity of the Conde-Duque of Olivares, curiously enough, born in Rome in 1587, where his father, don Enrique de Guzmán y Ribera, a cadet child from one of Spain's oldest noble families, was the Spanish ambassador, as was also his patron Spinola, who caused him to be deprived of his powers as plenipotentiary. Spinola's health broke down, as he was already 61 years old, with over 30 years experience in the battle fields, and died on 25 September 1630 at the Siege of Casale, muttering, apparently, the words "honour" and "reputation." 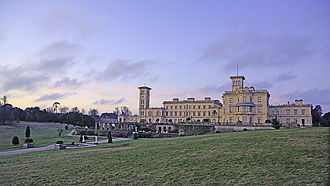 The title of "Marquess of Balbases", still borne by his representatives in Spain, was all that his family received for the vast fortune they spent in the service of Philip III and IV. 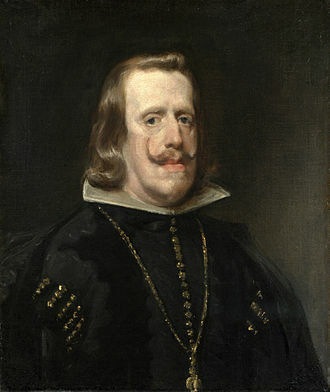 He would be painted however after his death, by Diego Velázquez, in 1635, as ordered by Felipe IV, in the famous picture "The Surrender of Breda", visited by tens of millions of tourists at the Museum of Prado in Madrid for the last two centuries or so. Spinola was a brilliant field commander, whose daring in battle often was used to outflank his opponents and catch them off guard. He was not a great technical innovator, but was a master of military skills. He used rapid movement and pell-mell actions in his battles. He was skilled at picking out an enemy's weakest spot and applying force there to achieve victory. ^ a b Cust, Sir Edward (1865). Lives of the warriors of the seventeenth century: Vol.I. London. ^ Muoni, Damiano (1859). Collezione D'Autografi Di Famiglie Sovrane. Milan. ^ a b c d e f g h i j k l One or more of the preceding sentences incorporates text from a publication now in the public domain: Hannay, David (1911). "Spinola, Ambrose" . In Chisholm, Hugh (ed.). Encyclopædia Britannica. 25 (11th ed.). Cambridge University Press. pp. 686–687. ^ Archer, Christon (2002). World History of Warfare. University of Nebraska Press. ^ * Keegan, John; Wheatcroft, Andrew (2014). Who's Who in Military History: From 1453 to the Present Day. London: Routledge. ^ IMBD The Ministry of Time: "Cómo se reescribe el tiempo"
Hobbs, Nicolas (2007). "Grandes de España" (in Spanish). Archived from the original on 25 October 2008. Retrieved 15 October 2008. Instituto de Salazar y Castro. Elenco de Grandezas y Titulos Nobiliarios Españoles (in Spanish). periodic publication. Rodriguez Villa, A. (1905). Ambrosio Spinola, primer marqués de los Balbases (in Spanish). Madrid, Spain. Wikimedia Commons has media related to Ambrosio Spinola, marqués de los Balbases. Marquess or Marchioness of Galatone is a noble title created by the Kings of Spain for Stefano Squarciafico, Patrician of Genoa, on 29 June 1562, and inherited according to Spanish nobiliary law. The title is held by the Prince or Princess Belmonte. The feudality of Galatone was acquired in 1557 by Uberto Squarciafico of Genoa, on 29 June of that year, the title Marquess of Galatone was conferred on Stefano by King Philip II of Spain, son of Emperor Charles V. Stefano married Vittoria Doria. He died in 1568, and is buried in the familys Chapel, Livia had been given the County of Copertino by Uberto, as a dowry on her marriage. Giulio Cesare married Lelia Spinola, daughter of the Duke of Sesto, as a widow, Lelia married on 27 November 1585 Gian Francesco Oliva Grimaldi, 2nd Duke of Terranova and Seigneur of Gerace. Her son by marriage, Girolamo Oliva Grimaldi, was created 1st Prince of Gerace. Cosimo, son of Galeazzo and Livia, succeeded to the lands, from his mother he inherited the title Count of Copertino. Michiel Janszoon van Mierevelt, often abbreviated as Michiel Jansz. and the surname spelled Miereveld or Miereveldt, was a Dutch Golden Age painter and draftsman. Van Mierevelt was born and died in Delft, as a son of a goldsmith and he registered as a member of the Guild of St. Luke in The Hague in 1625. 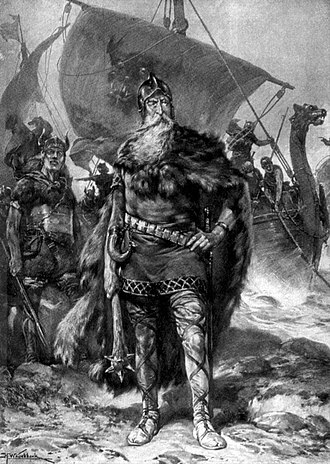 Today over 500 paintings are or have been attributed to him, so great was his reputation that he was patronized by royalty in many countries and acquired great wealth. Though Mierevelt is chiefly known as a painter, he executed some mythological pieces of minor importance. Many of his portraits have been reproduced in line by the leading Dutch engravers of his time. At the Mauritshuis in The Hague are the portraits of four princes of the house of Orange, of Frederick V as king of Bohemia, and of Louise de Coligny as a widow. Other portraits by him are at all the leading continental galleries, notably at Brunswick, Schwerin, Paris, Berlin. The town hall of Delft has examples of his work. Many of his pupils and assistants rose to fame, the most gifted of them were Paulus Moreelse, Jan Antonisz. Grandee is an official aristocratic title conferred on some Spanish nobility, as well as Portuguese nobility and Brazilian nobility. Holders of this dignity enjoyed similar privileges to those of the peerage of France during the Ancien Régime, the term can refer to other people of a somewhat comparable, exalted position, roughly synonymous with magnate, formerly a rank of high nobility. By extension, the term can refer informally to any important person of status, particularly wealthy. The term is used in the United Kingdom to refer to influential long-standing members of the Conservative Party, Labour Party. Most Spanish noble titles are granted as títulos del Reino, many of which predate the modern Spanish monarchy, the Kings of Spain re-established in 1520 the ancient dignity of Grande to confer as an additional rank of honour. The dignity of Grandee began to be assumed by Spains leading noblemen in the Middle Ages to distinguish them as a Grand señor, from lesser ricoshombres, the conferral of grandeeships initially conveyed only ceremonial privileges, such as remaining covered or seated in the presence of royalty. Over time grandees received more rights, eg. freedom from taxation, immunity from arrest, save at the Kings command. 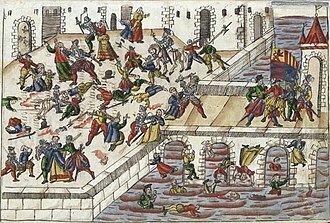 These rights became open to abuse with some Grandees renouncing their allegiance to the monarchy to wage war on the King, in the late 1470s, King Ferdinand II and Queen Isabella I were the first to clamp down on grandee powers assumed by the medieval territorial nobles. In the 16th century, limitations on the number of grandees were introduced by King Charles I, all grandees traditionally have been addressed by the king as mi Primo, whereas ordinary nobles are formally styled as mi Pariente. The dignity of grandee was abolished by the Napoleonic King Joseph Bonaparte, all grandees are deemed to be of the first class, and is an honorific dignity conferring neither power or legal privilege. A Grandeza de España is separate legal entity from a title of nobility, although grandezas are normally, since the 20th century invariably the King of Spain has conferred a Grandeza de España upon any newly created duke. A grandee of any noble rank is higher in precedence than a non-grandee, thus, a baron-grandee would outrank a non-grandee marquess, thus rendering the dignity of grandeza an hereditary rank of precedence rather than a title of nobility. The Archdiocese of Seville is part of the Catholic Church in Seville, Spain. The Diocese of Seville was founded in the 3rd century and it was raised to the level of an archdiocese in the 4th century. The current Archbishop is Juan José Asenjo Pelegrina, Saint Gerontius, Bishop of Italica, preached in Baetica, and without doubt must have left a pastor of its own to Seville. Zeno was appointed vicar apostolic by Pope Simplicius, and Pope Hormisdas gave the charge to Bishop Sallustius in the provinces of Baetica. However, the see was rendered illustrious above all by the holy brothers Saints Leander, the former of these contributed to the conversion of Saint Hermengild and Recared, and presided at the Third Council of Toledo in 589. While the latter presided at the Fourth Council of Toledo and was the teacher of medieval Spain, in addition to the cathedral chapter, another community of clerics was formed to sing the Divine Office in the Chapel Royal of Our Lady of the Kings about 1252. Most of the mosques of the city were converted into churches, but Santa María la Blanca, Santa Cruz. The cathedral originated in the mosque which was the work of the emirs who built the Aljama mosque, rebuilt in 1171 by the Almohad emir. The famous tower called the Giralda is due to Almanzor. P, Juan Almoravid Fernando Gutiérrez Tello - led Castilian forces at the Siege of Gibraltar Juan Sánchez Nuño de Fuentes - Convoked a provincial council in 1352. Alonso de Toledo y Vargas - Formerly the bishop of Badajoz, Pedro Gómez Álvarez de Albornoz - Previously bishop of Sigüenza and Lisbon. Named Cardinal by Gregory XI in 1371, Fernando Álvarez de Albornoz Pedro Gómez Barroso - Formerly an abbot of Colegiata de Valladolid. 90-93 seat vacant Gonzalo Mena Roelas - Previously bishop of Calahorra y de Burgos, Pedro de Luna y Albornoz Alonso de Exea - Formerly bishop of Ávila and Zamora. Named an Ecumenical Patriarch of Constantinople, diego de Anaya Maldonado - Previously bishop of Tuy, Orense and Cuenca. Lope de Olmedo Juan de Cerezuela y Urazandi - Became Archbishop of Toledo in 1435, diego de Anaya Maldonado - Second time. Genoa is the capital of the Italian region of Liguria and the sixth-largest city in Italy. In 2015,594,733 people lived within the administrative limits. As of the 2011 Italian census, the Province of Genoa, over 1.5 million people live in the wider metropolitan area stretching along the Italian Riviera. Genoa has been nicknamed la Superba due to its glorious past, part of the old town of Genoa was inscribed on the World Heritage List in 2006. The citys rich history in notably its art, music. It is the birthplace of Christopher Columbus, Niccolò Paganini, Giuseppe Mazzini, which forms the southern corner of the Milan-Turin-Genoa industrial triangle of north-west Italy, is one of the countrys major economic centres. The city has hosted massive shipyards and steelworks since the 19th century, the Bank of Saint George, founded in 1407, is among the oldest in the world and has played an important role in the citys prosperity since the middle of the 15th century. 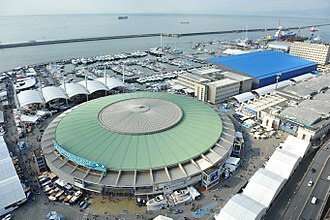 Today a number of leading Italian companies are based in the city, including Fincantieri, Selex ES, Ansaldo Energia, Ansaldo STS, Edoardo Raffinerie Garrone, Piaggio Aerospace, the Genoa area has been inhabited since the fifth or fourth millennium BC. 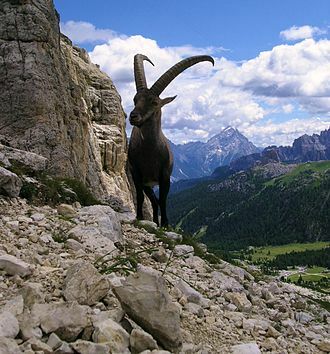 In ancient times this area was frequented and inhabited by Ligures, Phocaeans and Etruscans. The city cemetery, dating from the 6th and 5th centuries BC, testifies to the occupation of the site by the Greeks, but the fine harbour probably saw use much earlier, perhaps by the Etruscans. In the 5th century BC was founded the first oppidum at the foot of the today called the Castle Hill which now is inside the medieval old town. The ancient Ligurian city was known as Stalia, so referred to by Artemidorus Ephesius and Pomponius Mela, Ligurian Stalia was overshadowed by the powerful Marseille and Vada Sabatia, near modern Savona. 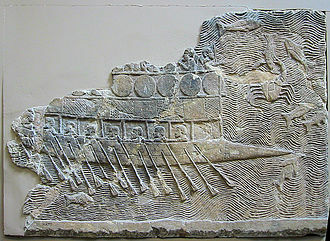 Stalia had an alliance with Rome through a foedus aequum in the course of the Second Punic War, the Carthaginians accordingly destroyed it in 209 BC. The town was rebuilt and, after the Carthaginian Wars ended in 146 BC. 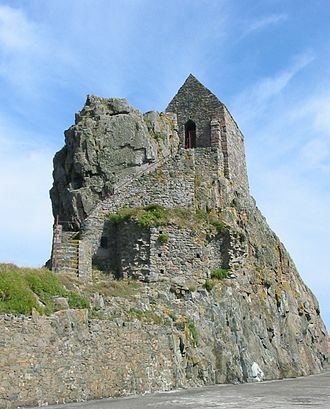 it received municipal rights, the original castrum thenceforth expanded towards the current areas of Santa Maria di Castello and the San Lorenzo promontory. Siege of Ostend by Peter Snayers, oil on canvas. Coat of arms of the Squarciafico. Coat of arms of the Pinelli. Coat of arms of the Ravaschieri. Coat of arms of the Fieschi. View of the ancient burgh of Rabatana in Tursi. 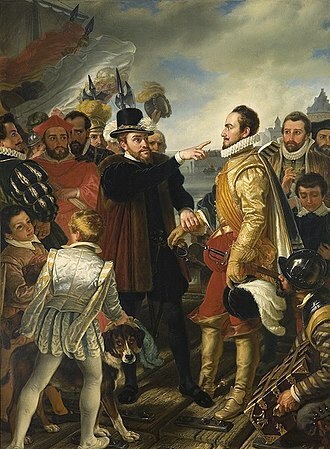 The Surrender of Jülich circa 1635 by Jusepe Leonardo, oil on canvas. Museo del Prado. 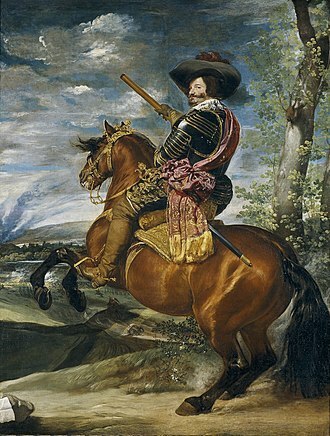 The marquis of Leganés by Anthony van Dyck, around 1634.